Seniors, it's time to apply for scholarships! 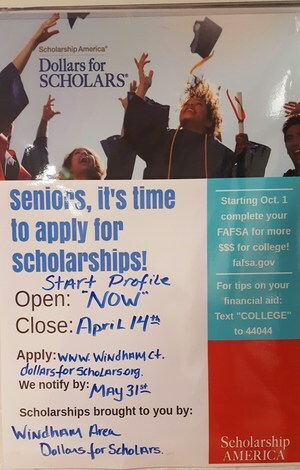 Windham Seniors can start applying for scholarships brought to you by Windham Area Dollars for Scholars. Dead Line is Friday April 14th.